There is a lot of difference that can be made in a brand’s perception by consumers just by the first impression that they get from the logo that it uses. A logo carries a lot of stake in the reputation of a brand. Logo design has to be simple yet they should be able to communicate the image of the brand in a way that it helps them connect with the brand. Logos should be something memorable and can stand the test of time but they should still be able to be in touching distance of the contemporary trends in the world of graphic design. We have come up with x logo design trends that will be popular in 2018. When you are thinking about a logo to be used in the long run, you want a logo that is clean, minimalist and simple. There have been many major changes to existing logos by companies who have made their logos much simpler just to serve that very purpose. How letter stacking is done is that the placement of letters is with them being composed on top of each other. This way, if your company’s logo has any long phrases, they will be composed in an easy to perceive manner. Using letter stacking in tandem with good contrast in the color composition is also going to make logos more appealing. Put basically, WordPress is arguably the world’s premier platform for website creation. In a nutshell, WordPress allows even the most inexperienced website designers to put together their own site. It is simple to use, has a whole lot of different options for people of different computer skills, and it is absolutely and completely free. It is thought that over 25% of the websites on the whole world wide web are powered by WordPress, with this number growing daily. This equates to almost 20 million individual websites. Sure, a lot of them may be defunct or poorly maintained, but this many people wouldn’t use the platform if it wasn’t simple to use, useful, and engaging. 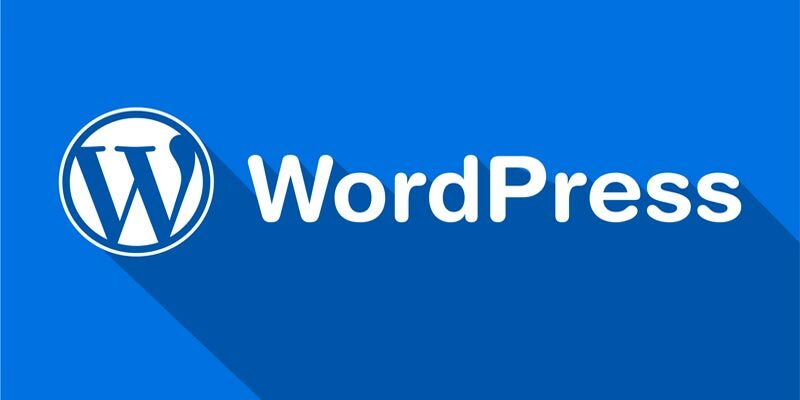 What makes WordPress stand out above other website creation platforms? Although WordPress is the most popular, there are actually plenty of different website creation platforms out there. Some, such as Weebly, are actually similar to WordPress. Others, such as Shopify, are designed with a specific purpose in mind. The thing which makes WordPress stand out above most other platforms is its simple customizability. Depending on what you want to do, WordPress is by far the simplest platform for new website builders. For example, if you want to set up an online shop, all you need to do is install a shop friendly theme, find a few plugins to help you receive payments and store customer details, and there you have it – the makings of an online business in just a few clicks of your mouse button! How do I get started on WordPress? Well, this depends on what you want to do. WordPress is completely free, so there is no harm in setting up an account and just having a go! There are actually two different versions of WordPress (more on that later), which both offer different perks. All you need to do is decide which version you want to use, create an account, and follow the prompts to get started. If you are new to website building then you can find plenty of different tutorials and how to videos through Google, and these should help you get going on your website building adventure.